Many of us kick off summer by grilling burgers, hot dogs and corn on Memorial Day. 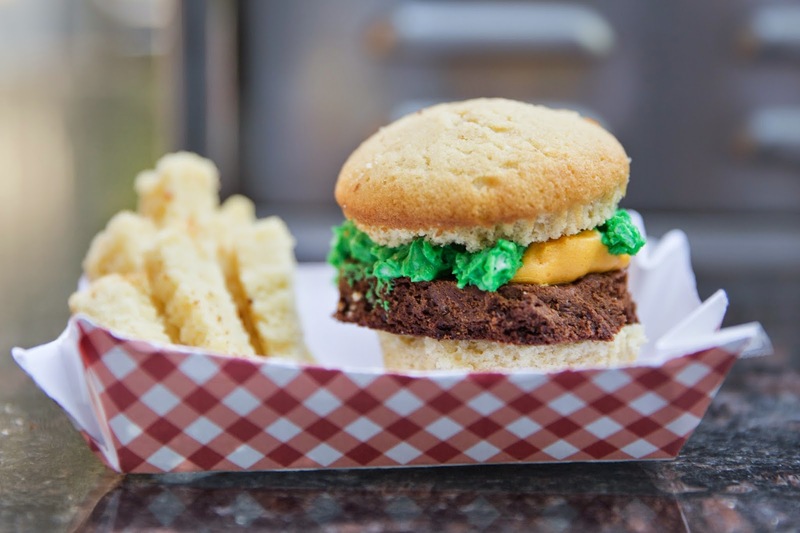 We wanted to add a bit of fun to this year’s menu with CUPCAKE burgers and POUND CAKE fries. With just a little bit of effort and a lot of creativity, we transformed ordinary cupcakes, brownies and pound cake into a spectacular dessert! 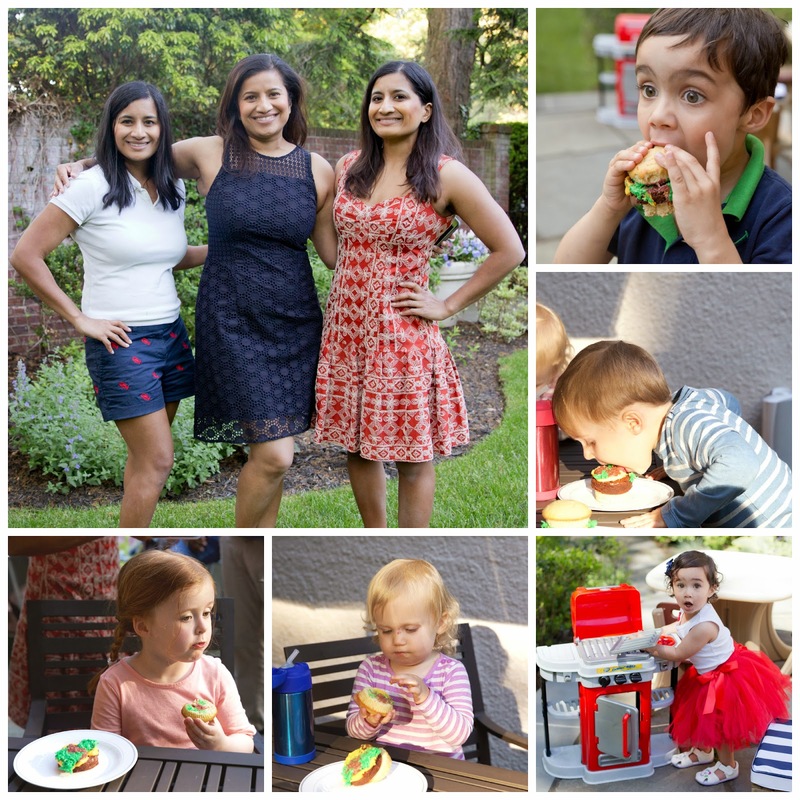 We brought these adorable treats to a barbecue, hosted by our older sister, and we were excited to assemble them with our nephew, Dylan. 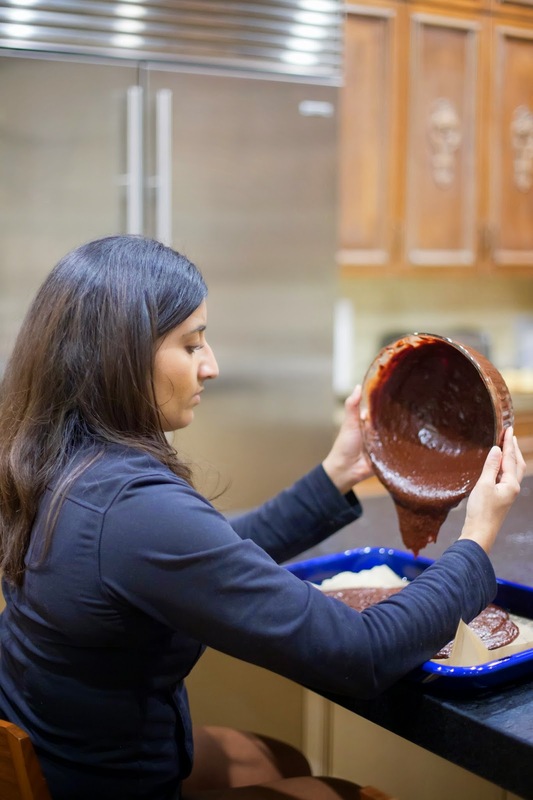 These days, Archana only bakes from scratch. But you can definitely use boxed mix if you are short on time. 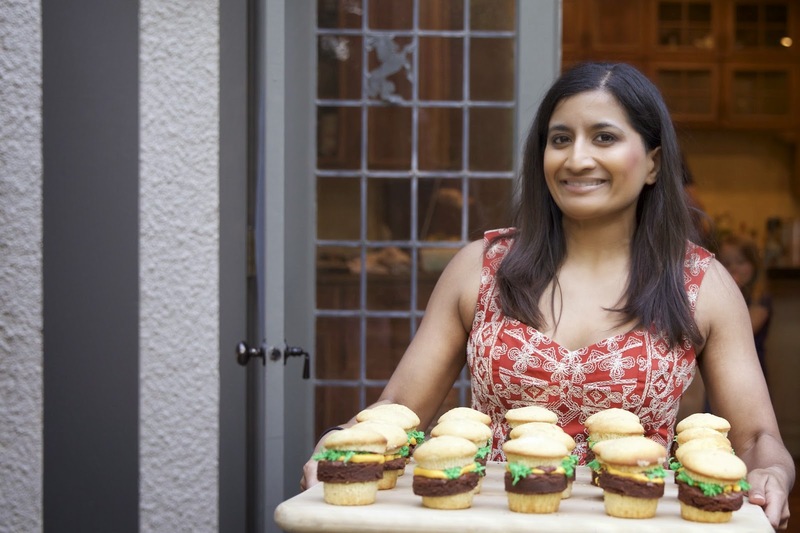 Archana’s go-to vanilla cake and buttercream recipes come from Toba Garrett. 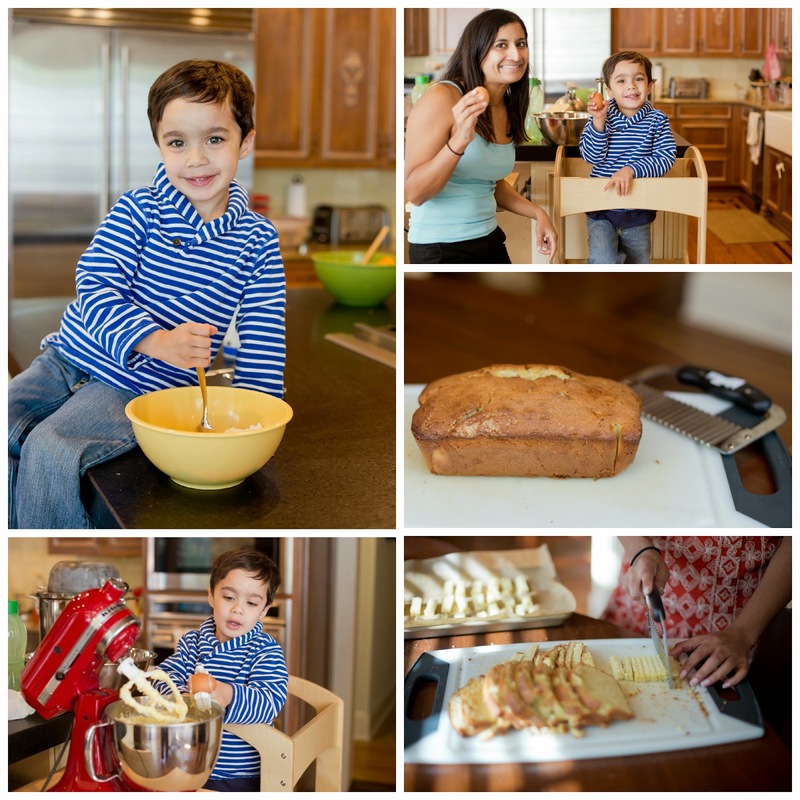 Toba’s moist vanilla cupcakes make for delicious “burger buns.” Thomas Joseph’s fudgy brownie recipe can be used to create the “meat patties,” and Martha Stewart’s pound cake recipe can be transformed into fries with a crinkle cutter. 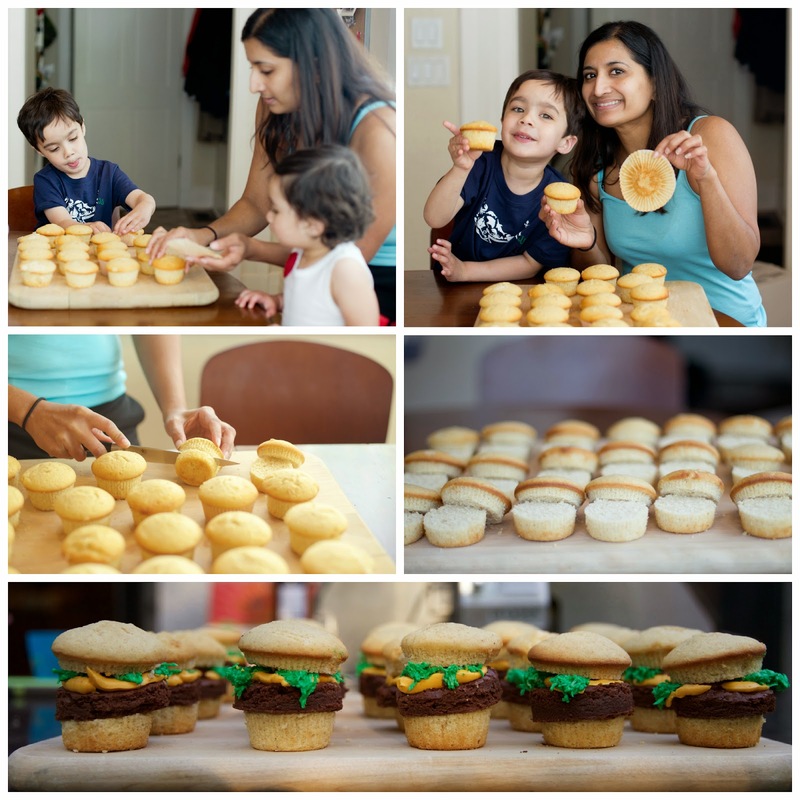 The children (and adults) had so much fun eating the cupcake burgers and pound cake fries. Some ate the cupcakes like a real burger, others in parts and some just wanted to lick the frosting. One child even ended up using the frosting as hair gel! Our niece, aka Little Miss Memorial Day, was even grilling on her mini grill alongside our brother-in-law. We had a fantastic Memorial Day weekend, and we hope you did too! If you prefer a more cake-like brownie, you can use Thomas’s cake-like brownie recipe. Remove cake from pan and let cool completely on rack before slicing.